Main features Generates XCI cartridge dumps with optional certificate removal and optional trimming. CRC32 checksum calculation for XCI dumps. Full XCI dump verification using XML database from NSWDB.COM (NSWreleases.xml). XML database and in-app update via libcurl. Precise HFS0 raw partition dumping, using the root HFS0 header from the game card. Partition filesystem data dumping. Partition filesystem browser with manual file dump support. Manual game card certificate dump. Free SD card space checks in place. File splitting support for all operations, using 2 GiB parts. Game card Title ID and Control.nacp retrieval support using NCM and NS services. Dump speed, ETA calculation and progress bar. Thanks to MCMrARM, for creating the original application. RSDuck, for their vba-next-switch port. It's UI menu code was taken as a basis for this application. Foen, for giving me some pretty good hints about how to use the NCM service. Yellows8, for helping me fix a silly bug in my implementation of some NCM service IPC calls. Björn Samuelsson, for his public domain CRC32 checksum calculation code for C (crc32_fast.c). AnalogMan, for his constant support and ideas. The folks from ReSwitched, for working towards the creation of a good homebrew ecosystem. by DarkMatterCore. 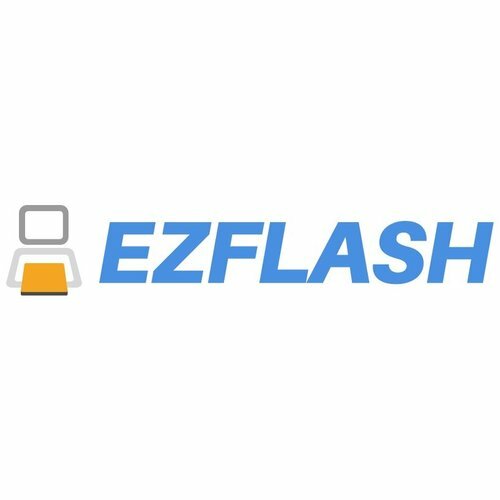 This is the latest firmware for the EZ Flash IV GBA cart, 1.720 RESET. It is a custom skin made by Dr. Meat from the Starmen.net forums from 2 years ago in honor of the MOTHER 3 fan translation. 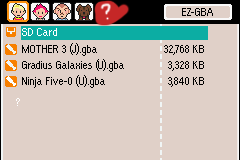 It is designed to look like the MOTHER 3 menu and is a must have for MOTHER fans with this card. He uploaded it with the 1.720 Firmware, this is a custom compiled version by me that has his skin with the LATEST firmware. This has numerous bugfixes including the one for Yoshi's Island. Thanks EZF Team! And thanks Dr Meat for the skin! EZ3 (note not the 3 in 1 expansion pack for the DS) management program. Those not wanting to use the installer 7zip (and maybe other good archiving programs) should be able to extract it by treating it as a normal archive (right click and force an extraction). 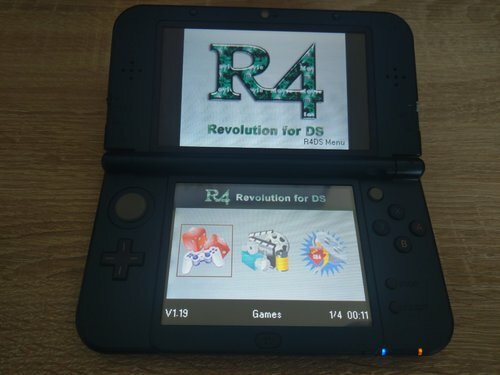 Note you can improve compatibility by for NDS roms running a rom through EZ4Client beforehand Information: NDS Compatibility updated to the latest games. Bottom screen is turned off when playing GBA games in DS mode. Updated Goldfinger data to the latest GBA games. A custom Nintendo Switch sysmodule (KIP) to automatically delete erpt save during boot. by Thog. This is a WIP background-audio-player as a custom Boot2 sysmodule for the Nintendo Switch. Instructions: this is developed for Atmosphere/Kosmos, Not tested on other CFW Compiled Module Goes to /atmosphere/titles/4200000000000000/exefs.nsp flag the Mudule activated by making blank file /atmosphere/titles/4200000000000000/flags/boot2.flag add your songs (MP3 ONLY) to /music Directory on Root of your Sd Card enable the module nor by restart console, or using latest Kosmos ToolBox. Note: Music will start playing as soon as the module is Activated this is a beta version and the songs repeat 100 times by default / for future Repeat song Implementation !!! right now it just plays all the mp3s in the /music folder of your sdcard once the switch boots. Usage/Cotrols: Beta: Repeat = Hold ( - ) + ( Y ) Play/Pause = Hold ( - ) + ( X ) Credits: It is partially based on nx-dreport at the start and uses some code from ctrmus. by KranKRival. Parche para el PES 2017 de PC. 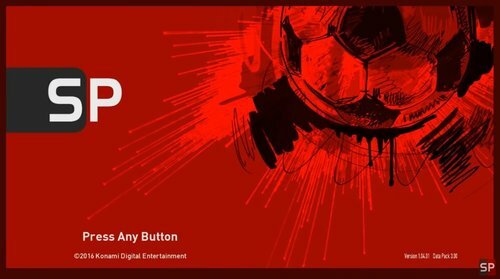 Features add new teams add new national teams add new leagues add new classic teams real kits for all teams real names for all players real names and logo for all teams correct home stadium names add a lot of real faces add a lot of mini-faces add real balls add real ad-boards for stadiums add 100 boots and 100 gloves includes all DP files many others… Installation: Extract patch files: don’t move any of the installation files or folders and be sure you do not get any errors. Run (smokepatch17.exe): run the installer and choose game installation folder, the patch must be installed in the same game folder, be sure you don’t get errors and that the installer finished successfully. Install patch update: get the latest patch update (if available), only install the latest update because it will include any needed previous updates for the patch. Important: New master league is required after installing SmokePatch17 Notes if you edit or generate the patch dpfilelist be sure to READ THIS changing the patch files or adding other mods is at your own risk. adding or updating the game is not the patch responsibility. 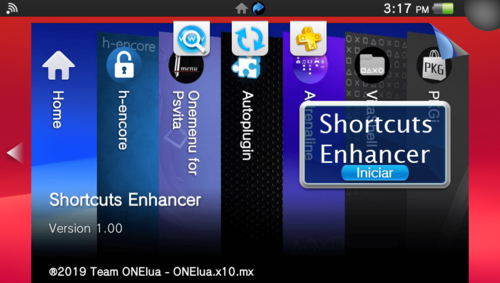 sider is not included, available as sider addons this patch is made to focus on offline modes. 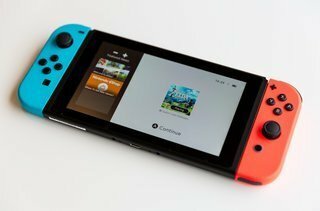 A warmboot bootrom exploit for the Nintendo Switch. Where does the name come from? The name "nereba" comes from a conjugation of the Japanese verb neru, "to sleep", meaning roughly "if I sleep, then..." This name was suggested by a friend and is partially intended to poke fun at the Atmosphère CFW project using French names. How does it work? The core of this exploit is not a Horizon OS vulnerability, but a vulnerability in the bootrom of the Tegra X1. During normal operation, when the Switch enters sleep mode, the main processor shuts down all but a few essential components of itself. The OS stores some state in RAM, which is kept on and its contents preserved. On wakeup, it re-executes the bootrom, and uses the state stored in RAM and in one of the regions kept on in the main processor. The bootrom takes a special codepath called the warmboot path, based on the presence of certain data (which can also be simulated on a reboot), and allows the console to wake up from sleep. One of the wakeup tasks is to get the RAM ready for usage, as it was put in a special mode before sleep. There are a set of parameters used to configure the RAM that are used during boot and wakeup. The bootrom assumes that these parameters do not change, as they are signed during a "coldboot" (power on reset), but Nvidia forgot to verify them during warmboot. This means they are able to be changed and thus the bootrom will use them to perform arbitrary writes. We can use these writes to take control of the bootrom using the built in ipatch system. Exploition on 1.0 is simple, as the region where the RAM parameters are stored is accessible easily with the nspwn exploit. This changed on later firmware versions; using this on firmware versions higher than 1.0 requires more complex exploits to achieve the same results. by pixel-stuck. Man-in-the-middle the Nintendo Switch's nfp:user service to spoof Amiibos, modified to disable the log file so you can use ftp properly. 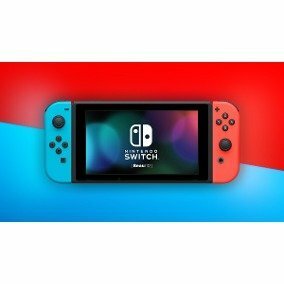 Nintendo Switch Amiibo switcher homebrew for nfp_mitm. 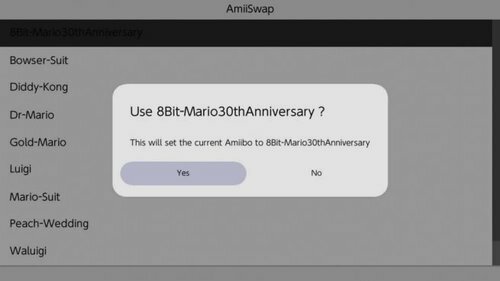 AmiiSwap works with emuiibo and switch-nfp-mitm How to use Download and setup emuiibo or switch-nfp-mitm. 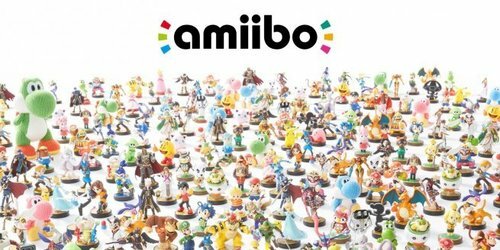 Download AmiiSwap and place the nro file in the "switch" folder of your sd card Using emuiibo Create a folder named "emuiibo" at the root of your sd card Place your amiibo bin files in this folder Launch AmiiSwap, then select the amiibo you want -> press A -> Confirm the dialog Launch your game, to use the amiibo follow this combo Enjoy Using switch-nfp-mitm Create a folder named "amiibos" at the root of your sd card Create folders for each games you have amiibos for (Example: Mario Kart 8, Zelda BOTW, Super Mario Odyssey) Place your amiibo bin files in the corresponding folders Launch AmiiSwap, then select a game -> select the amiibo you want -> press A -> Confirm the dialog Launch your game, to use the amiibo do A + Right Stick DOWN Enjoy You can change amiibos whenever you want by just going back into AmiiSwap and selecting another amiibo. How to navigate Use the dpad or the left stick to navigate menus Use A to select Use B to go back to the main menu Credits FuryBaguette - Well yeah I'm crediting myself for this project spx01 - His fork of switch-nfp-mitm you can find here. I should also thank averne and ogniK5377. (Fork of fork of fork) Subv - For making switch-nfp-mitm XorTroll - For emuiibo Code looks bad, please don't mind as this will be changed in the next commit. fuse-wiiu is an easy way to extract data from Wii U titles in various formats. It's compatible to: Title in the installable format (.tmd, .app, .h3 etc.) Multiple versions of a title in the installable format (.tmd, .app, .h3 etc.) Wii U disc images (WUD, WUX and splitted WUD), including kiosk discs fuse-wiiu requires Java 8 and fuse implementation thats compatible to you OS and CPU architecture. The kernel and firmware for the EZFlash omega line of GBA flash carts. This is a set of batch scripts that automate many things. Features: Installation of the drivers of mode RCM (driver "APX") and the mode libnx_USB_comms used by Tinfoil (driver "libnx_USB_comms") of the Switch. Launching a payload via the RCM mode of the Switch. You can place the payloads in a "Payloads" folder located at the root of this script or choose a payload file via an explorer. Note that the RCM drivers for the Switch must be installed for this to work. Management of a toolbox for launching software in stand-alone mode with the possibility of managing a list of personal software. It should be noted that the programs can be integrated into the "tools \ toolbox" folder of the script which allows to have a possibility of portability if desired. Finally, avoid modifying the configuration files of the toolbox by hand, prefer the script. Launch of Linux via the RCM mode of the Switch (either with the official kernel, or via a patched kernel (thank you Krazer89 GBATemp and Killua Logic-sunrise for info) for SD not compatible with the official kernel), either with a kernel file selected via a file explorer. Note that the RCM drivers for the Switch must be installed for this to work. Recovery of biskey thanks to the payload Biskeydump in the file "biskey.txt" which will be located at the root of the script (the biskey start at line 7 of the file). Note that the RCM drivers for the Switch must be installed for this to work. Download / update binaries of Shofel2. Check if a console is patched, maybe patched or unpatched (imperfect functionality, may give erroneous results, the database still needs adjustments). Mount the Boot0, Boot1, EMMC or SD card partition as a USB storage device on the PC. Dump / restore nand or partitions of the Rawnand, extraction of partition of a dump file of the Rawnand, obtaining info on the nand or on a dump file ... Creation of update packages via ChoiDuJour with all parameters. 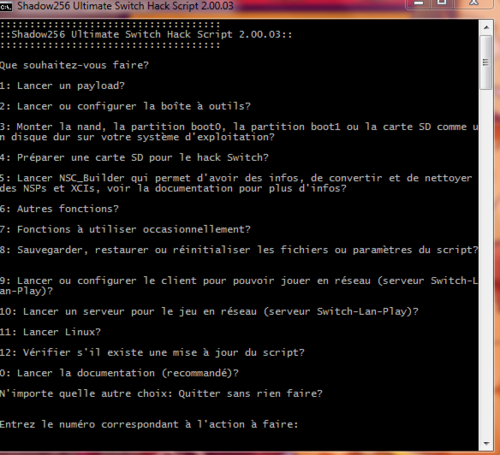 Downloading a firmware and preparing the SD with it for ChoiDuJourNX, the homebrew is also copied during this script. This script also allows you to optionally create the update package via ChoiDuJour in stride. Preparation of an SD, formatting (FAT32 or EXFAT) to the implementation of different solutions, see the documentation for more information on the contents of the packs. Launch of NSC_Builder translated into French by me. This script is useful for converting XCIs or NSPs into XCIs or NSPs. Files converted through this script are cleaned and rendered, in theory, undetectable by Nintendo, especially for NSPs. Finally, this script also makes it possible to create NSPs or XCIs containing the game, its updates and DLCs in a single file. For more info, see this page. Reunification of the files of a dump of the nand carried out by Hekate or SX OS on a SD formatted in FAT32 or on an SD too small to accommodate the dump in one time in a file "rawnand.bin" which can then be reused for restore the nand. Convert XCI files to NSP. NSP installation via Goldleaf and the network. Backup, restore and reset important files used by the script. Checking the NSPs. Converting a Zelda Breath Of The Wild backup from Wii U format to Switch or vice versa. Retrieving the certificate from a console via the decrypted "PRODINFO.bin" file. NSP installation via Goldleaf via USB. Cut NSP or XCI to put them on an SD formatted FAT32. Launch of the necessary to play online on the alternative network Switch-Lan-Play. A list of servers can also be created. Creation and launch of a personal server for Switch-Lan-Play. by Shadow256. 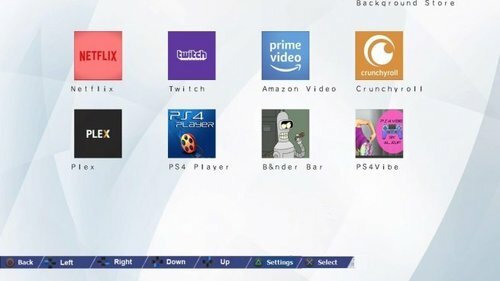 La distribución de Linux Gentoo, portada para ser utilizada en PS4. mpv is a media player for Windows and macOS based on MPlayer and mplayer2. It supports a wide variety of video file formats, audio and video codecs, and subtitle types. System requirements Windows 7 or later, or OSX 10.8 or later. A somewhat capable CPU. Hardware decoding might help if the CPU is too slow to decode video in realtime, but must be explicitly enabled with the --hwdec option. A not too crappy GPU. mpv is not intended to be used with bad GPUs. There are many caveats with drivers or system compositors causing tearing, stutter, etc. On Windows, you might want to make sure the graphics drivers are current. In some cases, ancient fallback video output methods can help (such as --vo=xv on Linux), but this use is not recommended or supported. The latest update to the XERC family is now for sale – the XERC 2 XE. This version includes a diode onboard so you can directly connect the MS DVD Kit dongle to the XERC to share the same IR receiver. 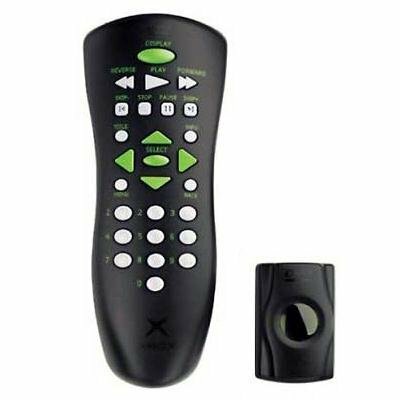 SICKmods XERC 2 XE If you are unfamiliar with the XERC, it is a small device which allows you to turn your Xbox on and off with your remote. It also allows you to eject and emulate long and short power presses, to enter different boot modes if you have a modchip installed. The MS DVD Kit dongle can be internally hardwired to share the same IR receiver as the XERC 2 XE. The XERC can be configured to work with many different remotes, and you can change the button setup at any time without opening your Xbox. It also includes a bonus LED Fader feature on the status light. MIDIPI is a lightweight Music Player with a simple interface. 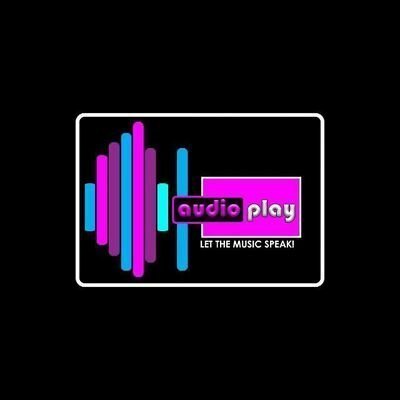 It can play MP2, MP3, MID, WMA, WAV, M4A, AAC. It also supports these Video Formats (but a the moment just the audio): MP4, AVI, WMV, 3GP etc... . It's currently based on WMP ActiveX. MIDIPI is completly free. If you want to make a mirror, just ask me. 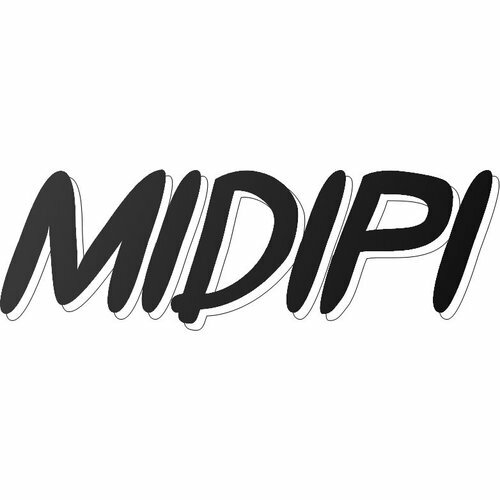 And if you have suggestions for MIDIPI, send me a PM. Planned Features: Play online files. Settings. by LeonPro12. Kernel for R4DS Flashcart. 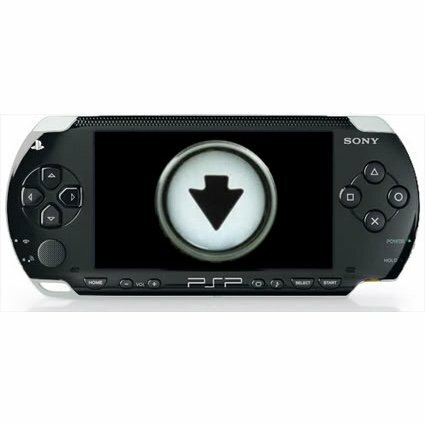 Works with: DS Phat, DS Lite, DSi, 2/3DS Series Whats new? : Wood Kernel in the R4 Menu Better Game Support Faster Menu Scolling MoonShell 2 Integrated Bigger Cheat database (Thanks to DeadSkullzJr) Known Bugs: Don't press SELECT while in the Main Menu (You can change the skin, if you press START in the game menu). Loading the game menu takes a bit longer on an slow SD-Card. reNXpack is a tool for repacking Nintendo Switch nsps to work on lower firmwares. Features Repack games, updates and dlcs with lowest encryption keys Convert titlekey encrypted ncas to standard encrypted ncas Patch required firmware version and required application version to zero Support nsps containing multiple games, updates and dlcs Usage You should load your keyset file with -k or --keyset option followed by a path to it or place your keyset file with "keys.dat" filename in the same folder as reNXpack. Required keys are: header_key: NCA Header Key key_area_key_application_xx: Application key area encryption keys titlekek_xx: Title key encryption keys By default, Created nsp files are located in the same folder as reNXpack with 'titleid_reNXpack.nsp' filename You can change output directory with -o, --outdir option reNXpack creates "renxpack_extracted_nsp" folder as a temp directory, It deletes the directory content before and after conversion If you use -t, --tempdir option to choose a temporary directory, Make sure it's an empty directory and it's not the same as output directory otherwise reNXpack deletes it *nix: ./renxpack [options...] <path_to_file.nsp> Windows: .\renxpack.exe [options...] <path_to_file.nsp> Options: -k, --keyset Set keyset filepath, default filepath is ./keys.dat -h, --help Display usage -t, --tempdir Set temporary directory path -o, --outdir Set output directory path reNXpack is based on hactool by SciresM. Thanks: SciresM, Rajkosto, Switch Brew. by The-4n.